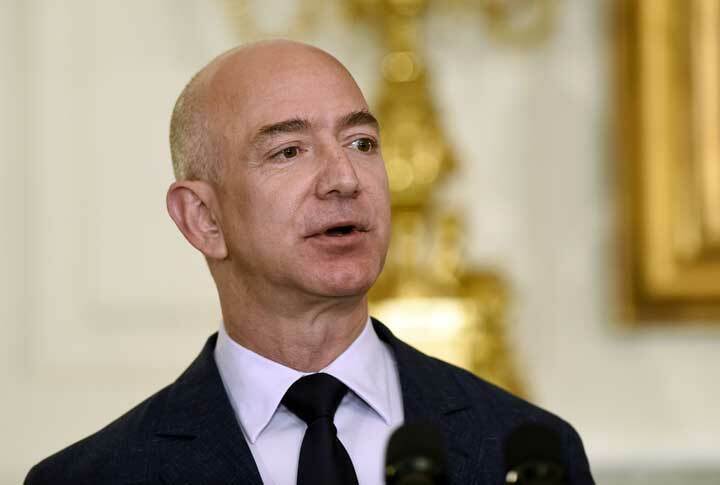 NEW YORK (AP) — President Donald Trump returned to a favorite target Friday, saying Amazon.com should be charged more by the U.S. Postal Service for the packages it sends around the world. In the seconds after the tweet, shares of Amazon, which had been trading higher before the opening bell, began to fade and went into negative territory. The stock closed down more than 1 percent Friday. Broader markets also slipped. Shares of Boeing Co. gave up almost 1 percent when trading opened that day but recovered. Several days later, and again on Twitter, he said that Lockheed-Martin, which is building the F-35 fighter jet, was “out of control.” Its shares tumbled more than 5 percent, but they, too, recovered. Shares of Amazon.com Inc. slipped 1.4 percent Friday to close at $1,169.47. The Seattle company’s stock is up more than 57 percent this year and surpassed $1,000 each for the first time in April.